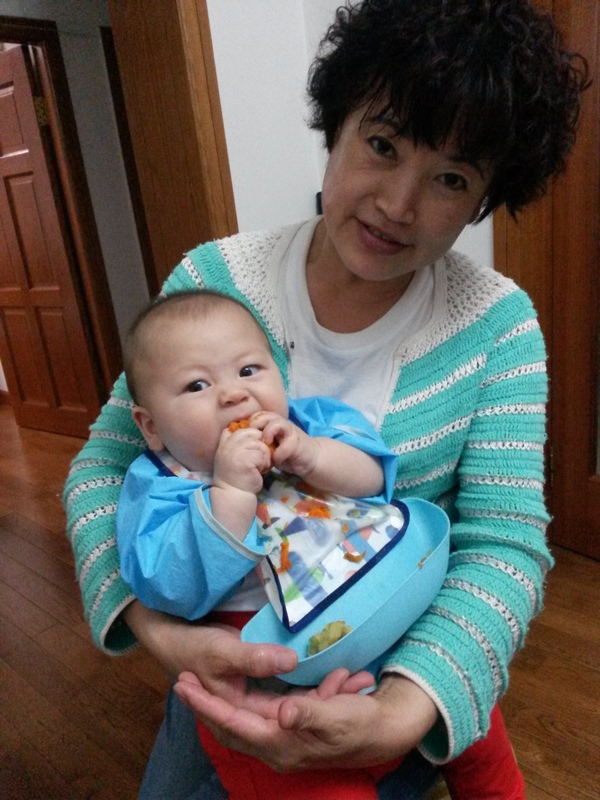 This entry was posted in Baby, Family and tagged AMWFbaby, Chinese in-laws, cultural differences, Dalian, family, intercultural differences, mother-in-law. Bookmark the permalink. Baby Z is so cute! Good to see that you are doing great. I also hope everything will run smoothly with my Chinese mom in the future too. Although I am scared that she will be staying with us every of her free minutes. I am sure that at some point I’ll run away to my mom haha. You may be apprehensive about it, but it will probably be just fine. There’s a lot of hype about daughter-in-law/mother-in-law relations being tough, but society has changed, it’s not like it used to be. She probably is, but I’ll never know! I was pleasantly surprised at how my Japanese MIL was when she visited us for 3 weeks. She accepted all my mothering ways without complaint or hesitation. She was very helpful, her sister too. It was a great and relaxing visit. Wish I could say the same about my own mother’s visits ;). Oh and baby Z is still absolutely adorable! That’s so good to see that everything went so well! My MIL and FIL came for six months when my baby was born. It was a nightmare. She would take baby from people. Like everyone and I had family and friends not visit until she left because they didn’t like her. My FIL made me feel like he thought I was stupid. Ugh it was just horrible. I get a little jealous when I see these posts! Haha. 🙂 But I also learned a lot of their ways and with the next baby I’m putting my foot down and not sacrificing my happiness for them. Not again. Did your PiLs come when the baby was first born? The main reason it’s been so smooth is that they weren’t around when baby was born as i went back to the UK. I had my own mum who instilled me with confidence (culture difference!) and by the time i went back to China i was a confident mum, sure in my choices. Best thing i could have done. How do you like living in Dalian so far? I’ve read that it’s one of China’s “most livable cities” and I’m just wondering about the level pollution and the quality of life there in general. I like it very much 🙂 pollution is much better than other cities in the North East, because of its location on the coast (we still have bad days sometimes though). Quality of life is good, the city has all the amenities you need, including life’s little luxuries: international shopping malls, Starbucks, import stores. Plus the beach! I would agree it’s one of the most livable cities in China, I find it very pleasant.